Simplify meeting building and hurricane codes including Miami-Dade County regulations. Due to their extreme weight, standard freight terms for The Hurricane Pad MD only apply for shipment to FL, GA, & AL. All other shipments are shipped FOB Conyers, GA. Designed specifically for the hurricane prone regions of Florida and the Gulf Coast, The Hurricane Pad™ meets stringent local code requirements for wind resistance. Heavier than a normal concrete pad, this 4” pad provides sufficient weight to meet code. For certain taller equipment, The Hurricane T-Class Pad™ is needed. The Hurricane T-Class Pad™ is even heavier than The Hurricane Pad™ and is designed to meet the higher wind loads of taller equipment. The taller the piece of equipment mounted to the pad, the greater the wind load on the pad. These heavier 4” pads provide sufficient weight to meet code for these taller condensing units. The new Hurricane Pad™ MD is the newest in concrete pad technology from DiversiTech. The Hurricane Pad MD is a solid concrete pad designed for the strict requirements of Miami-Dade county. 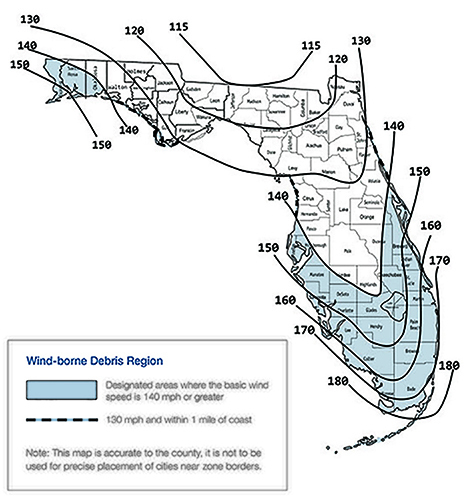 The Hurricane Pad MD meets the Florida Building Code Notice and can withstand winds up to 175 MPH. This pad is made from a minimum 7000PSI solid concrete. Bracket secures condenser to The Hurricane Pad. Use #8 self-drilling or self-tapping screws to secure condenser to brackets. Be sure to place brackets according to local building code requirements.